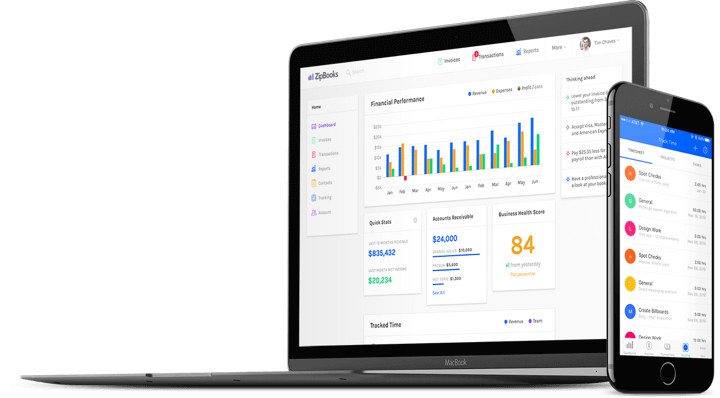 Simple, beautiful, and powerful, ZipBooks gives you the tools and intelligence to take your business to the next level. 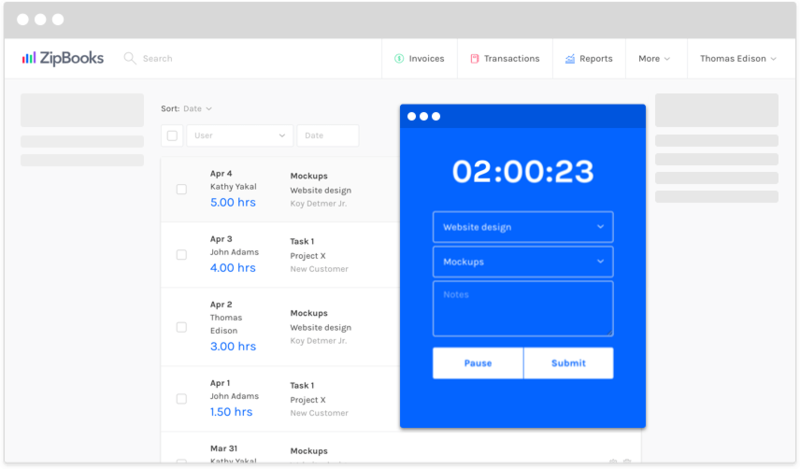 Send professional invoices in seconds, get paid seamlessly with all major credit cards or PayPal, and set-and-forget it with auto-billing and automated payment reminders. 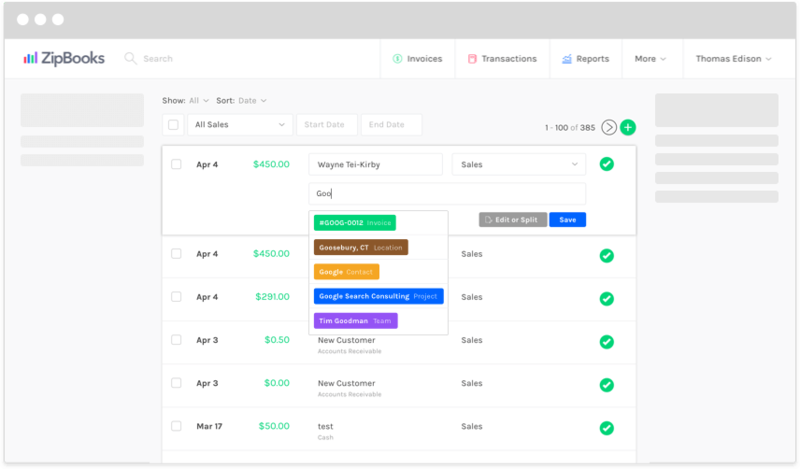 Bookkeeping and reporting are smarter in ZipBooks, with dead-simple reconciliation, a full suite of reports, auto-categorization, and intuitive color-coding so it all just makes sense. ZipBooks makes leaving reviews easy for your best customers. Send invitations manually or have ZipBooks automatically send texts or emails after you get paid. Build your online presence and attract more customers. 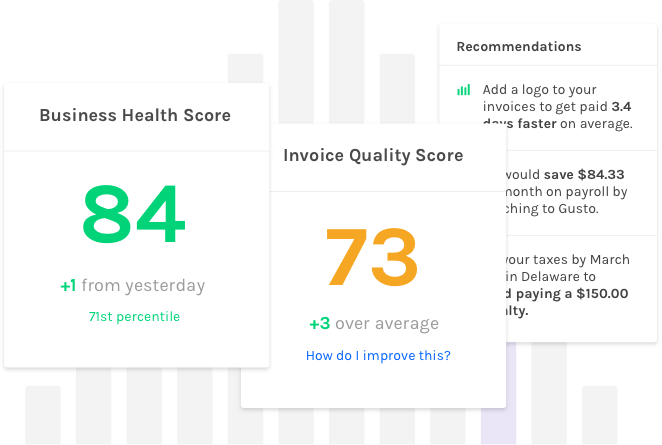 Smart insights and reports help you retain your most profitable customers, get paid more quickly, and see how you're doing versus competitors. Not Fake News: ZipBooks users spend 15% less time on mundane bookkeeping tasks. Simple accounting is the smart move. 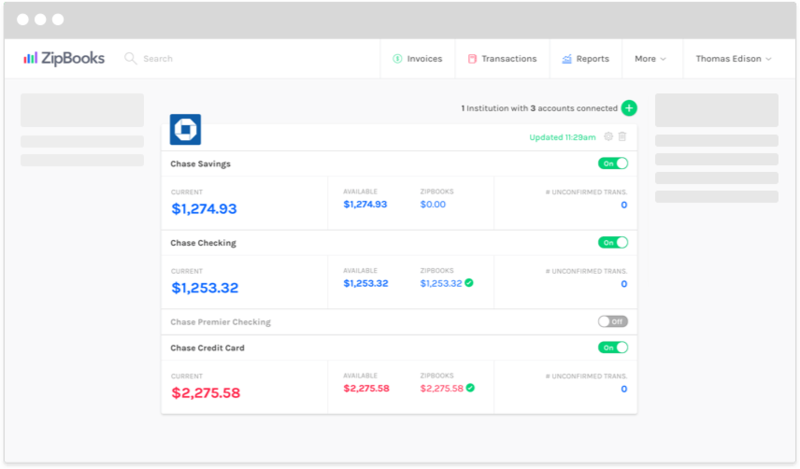 Between auto-categorization, a single transactions interface, and dead-simple reports, bookkeeping and accounting have never been this easy. 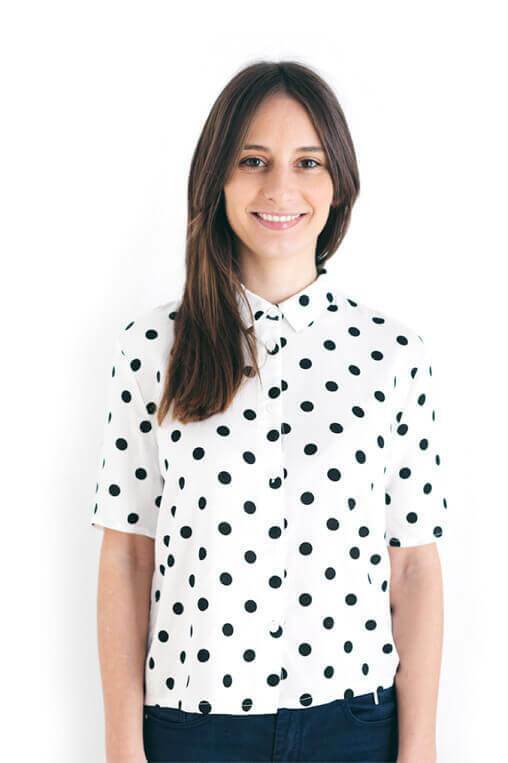 Clients are 15.8% more likely to repurchase when your ZipBooks invoice includes a logo. Intelligent insights give you an edge. Our data-driven intelligence goes beyond the historical reports in other accounting software to automate, predict, and advise. Actionable insights based on millions of data points allow you to make simple tweaks with an outsized impact. 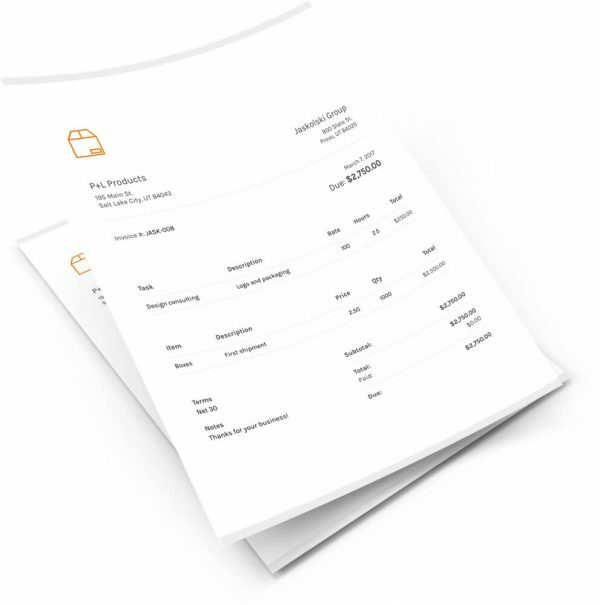 Automate everything with recurring auto-bills while ZipBooks seamlessly integrates your billing into your books. Connect your bank account and credit card to save time and stay current. 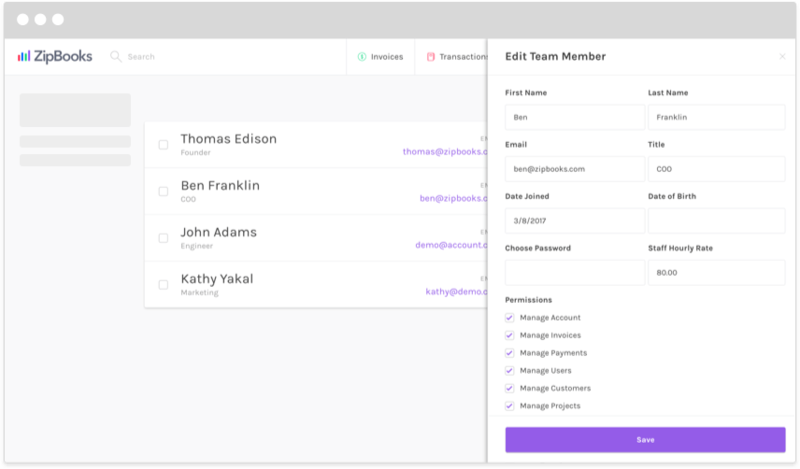 ZipBooks will pull your transactions and balance daily to make bookkeeping and reconciliation a snap. 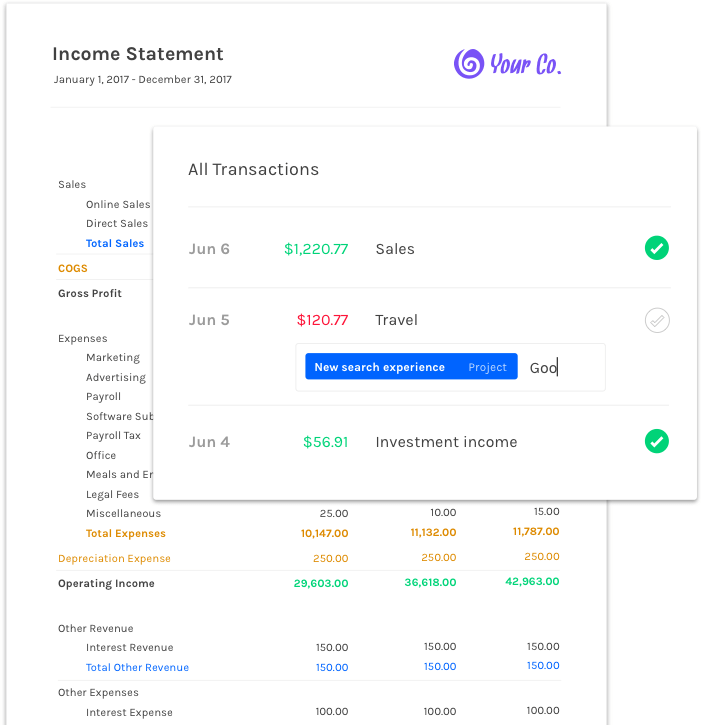 Tag any transaction with a customer, project, location, or other custom tag then generate an income statement and other accounting reports based on one or more of your tags. Manage your business on the go. 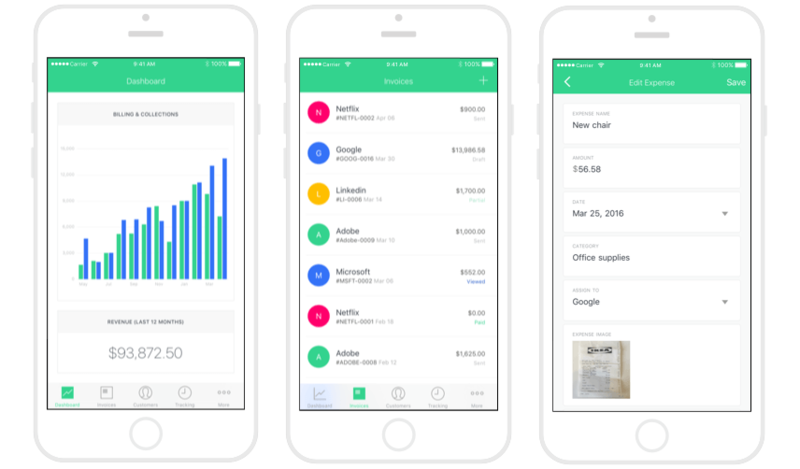 Send invoices, mark payments, store receipts, and categorize expenses with an optimized mobile web experience or native mobile application. Want to pass it all to a professional? ZipBooks tax and bookkeeping scholars can take everything off your plate. We handle everything from simple monthly bookkeeping to full back-office operations for multi-location enterprises. We save you time, money, and headache all with a professional and friendly personal touch you wouldn't expect from an accountant!